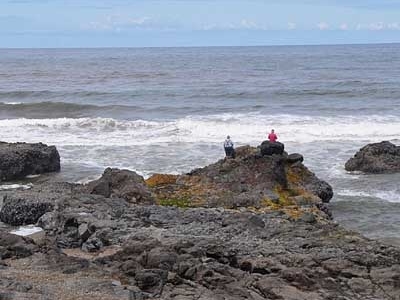 Smelt Sands State Recreation Site is a state park in Oregon.An excellent whale watching and photography viewpoint. Walk the historic 804 Trail (.75 miles one-way with resting benches scattered along the way). The park is known for tidepooling, rock fishing and the yearly smelt run (smelt are small, silvery relatives of salmon). Breathtaking sunsets. Here's the our members favorite photos of "State Parks in Oregon". Upload your photo of Smelt Sands State Recreation Site!